I am always a fan of Ice Cream. I am well aware that it causes me fat, but still I love it so much that I can overlook this scary fact. It is like you know this boy gonna hurt you, but yet you still fell for it. Can relate much? 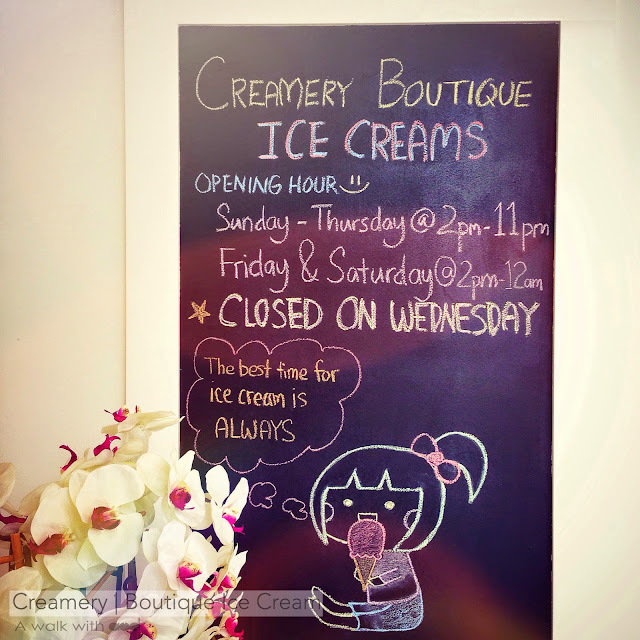 That day my friend YeeVen told me that her cousin is opening her new Ice Cream Boutique, I was already tempted to try. 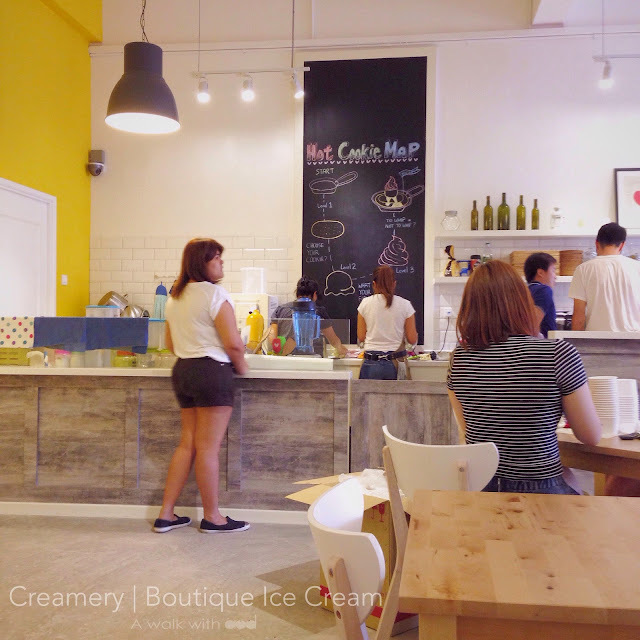 After seeing the photo of the ice cream, I made up my decision that I must come and try when I come back to JB. Before I visited the shop, I did some intro read up about the shop. 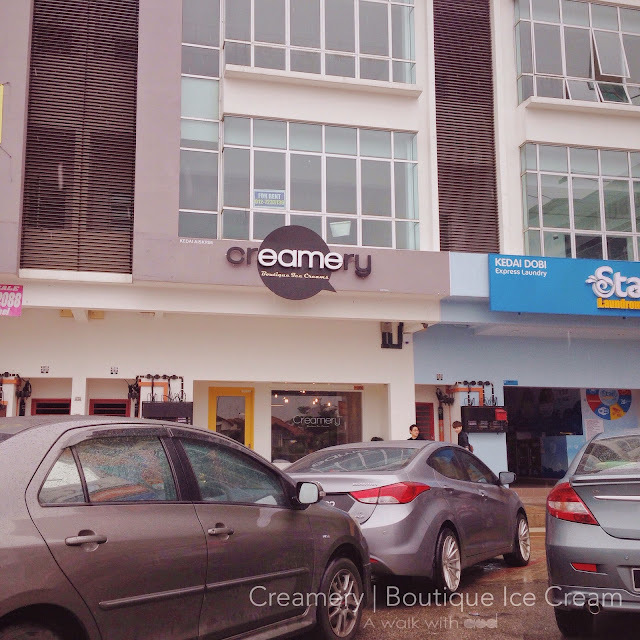 Apparently, Creamery Boutique Ice Creams (JB) is an ice cream project brought into Johor Bahru, Malaysia by TheIceCreamist, all the way from Creamery Company Limited, Bangkok, under their franchise expansion. 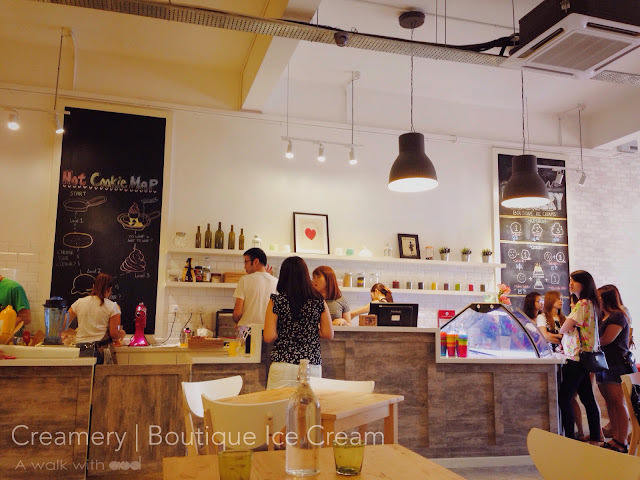 They focus on small batch premium homemade production to maintain the exceptional quality of their ice creams. 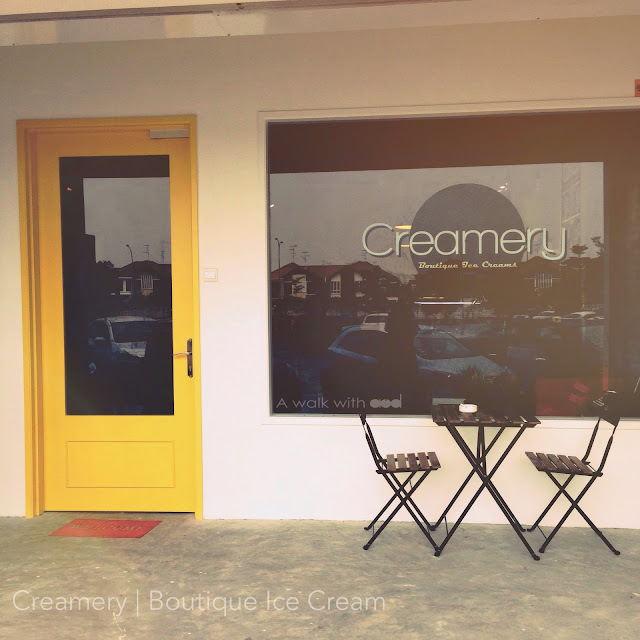 It was said that all their recipes are original, exclusive and personally developed to include a unique Creamery twist. 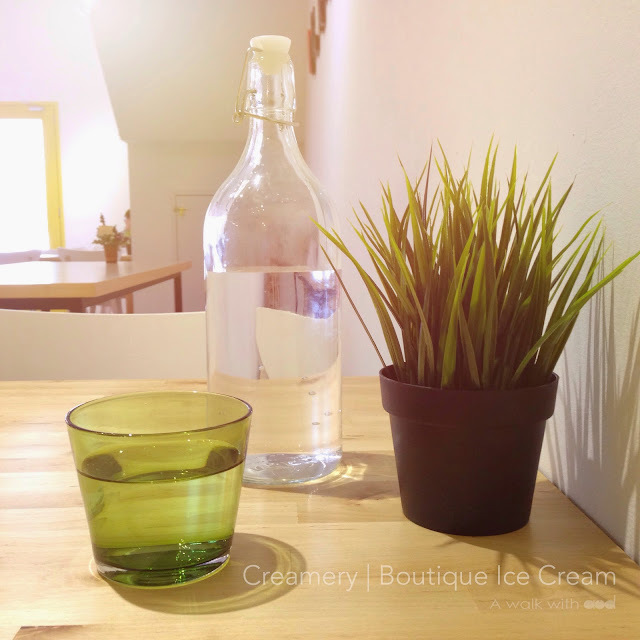 So 2 weeks ago, I arranged to visit Creamery Ice Cream Boutique with Kareshi on Sunday. We reached here quite early, about 12pm, didn't know that it is not opened yet so have to wait for 2 hours for it to open. Uhh... but I told myself, since I am already here, might as well just wait. After 2 hours, finally it's opened!!! It better be good to worth the wait! Soon after it opened, it got crowded. To order, head to the ice cream bar, choose whether you want normal scoops or you want it to come with brownie or lavas. There are 2 types of lavas which are chocolate and matcha. I decided to get chocolate and kareshi prefer matcha. Choose the ice cream flavour of your choice. Uhh, all of them looks delicious, would really wish to try all!! Kareshi went for Raspberry Cheese and I decided on matcha flavour to match with my chocolate lava because chocolate lava is already quite sweet so the combination of the ice cream shouldn't be too sweet or you will not be able to enjoy it to the max (advice from the lady boss). Brownies and the lavas are cooked on the spot so you can enjoy the fresh and warm oozing lavas! Plain water are at the counter, just grab a bottle if you need. 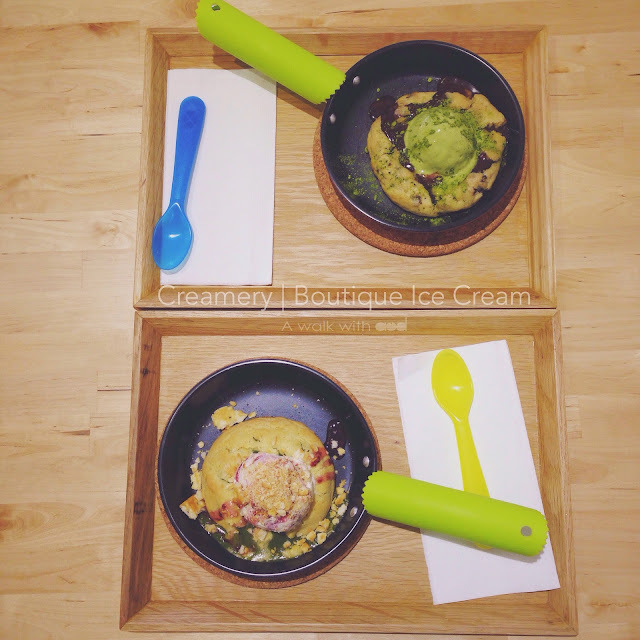 We waited for like 5 minutes or so, here is our ice cream lavas! 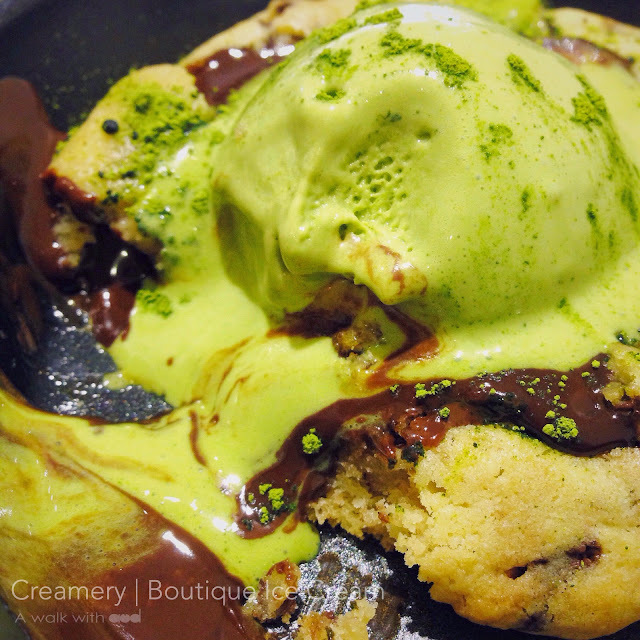 The top: Matcha ice cream with chocolate lava, RM 15.90. 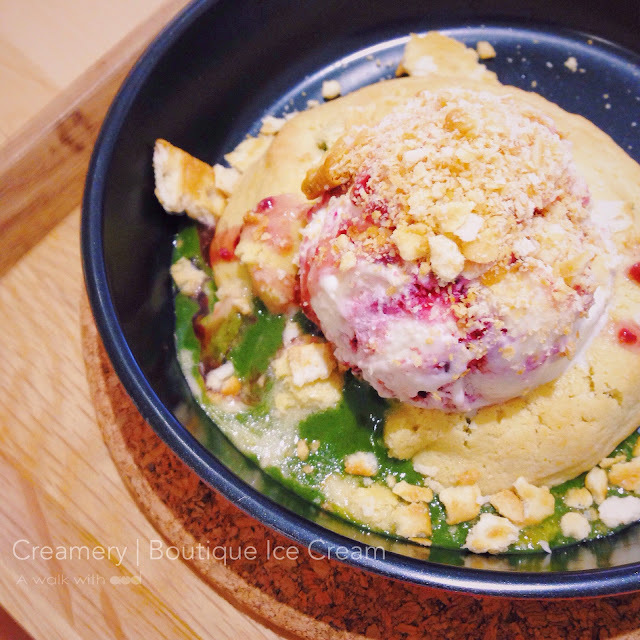 The bottom: Raspberry cheese with matcha lava, RM 16.90. 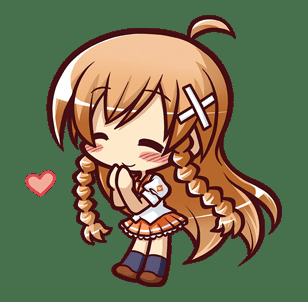 I love the ice cream! 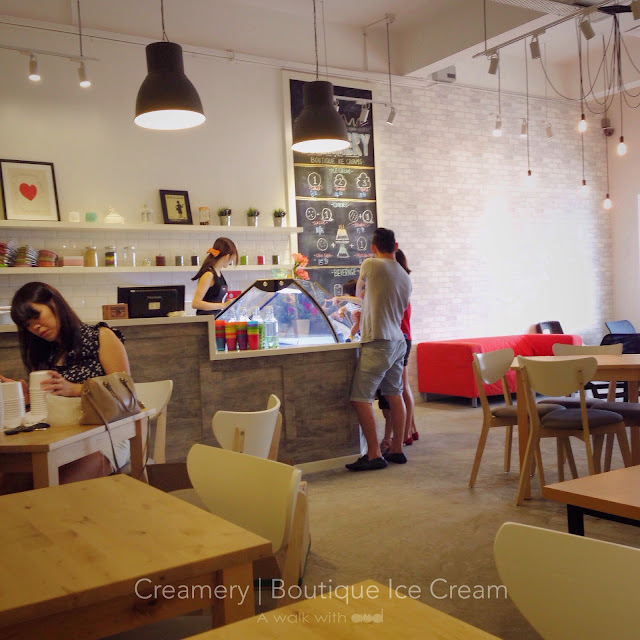 Sweetness, creamery and the taste, everything is just nice, it is not too cheesy until you feel like very je lat. Quite a good match with the matcha lava. Now this really looks delicious! Oh the chocolate! Can't help but drool over it, lol. 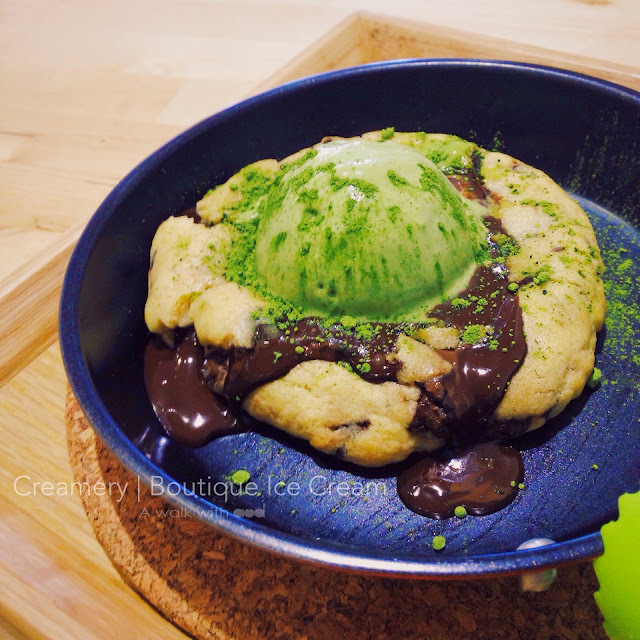 The not so sweet matcha balanced the sweetness of the chocolate lava, the cookie is soft yet has the perfect texture, it is simply the perfect match!! Even kareshi feels like eating mine, lol. But as for personal preference, I think it would be nice if the chocolate lava is dark chocolate, so it can goes well with any ice cream flavor but not limited to those that are less sweet. Plus, dark chocolate is healthier isn't it? So if you are in town or somewhere near Austin, do drop by to try it out! You will love it, plus it's the latest trend. If you are the hipster kind, how can you miss it right? 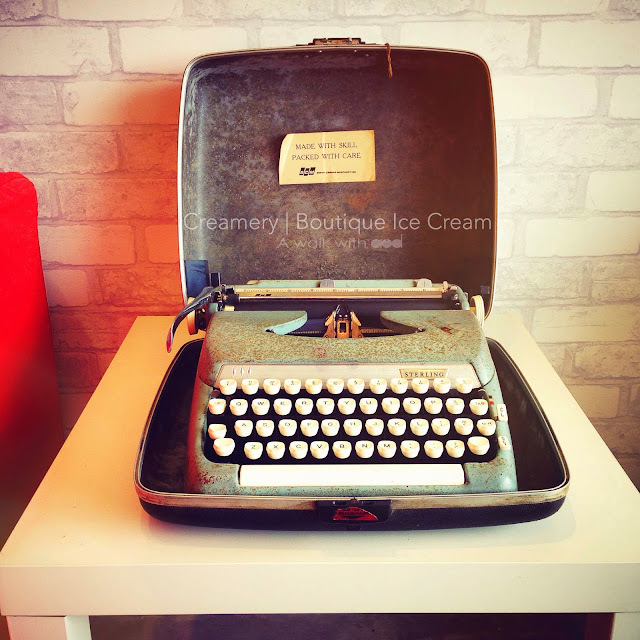 *Saw this typewriter when I was about to leave, can I bring it home?